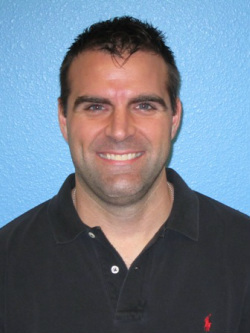 Craig Ciuk has been an Occupational Therapist at the Melmed Center since 2001. Originally from Michigan, Craig received his degree from Saginaw Valley State University. When working with children, Craig’s focus of treatment is on neurodevelopmental and sensory motor approaches utilizing therapeutic exercises and activities. He has an extensive knowledge of Sensory Processing Disorder (SPD) having completed courses in: Therapeutic Listening, Astronaut Training as well as infant massage. He works with the How Does Your Engine Run? program and the BrainGym protocol. Other continuing education has focused on Handwriting Without Tears, Pivotal Response Training (PRT) and Applied Behavioral Analysis (ABA). In addition to his role as an Occupational Therapist, Craig is the Senior Research Study Coordinator for research projects performed at the Melmed Center, including the study of novel diagnostic and treatment approaches to Attention Deficit/Hyperactivity Disorder and Autism Spectrum Disorders.